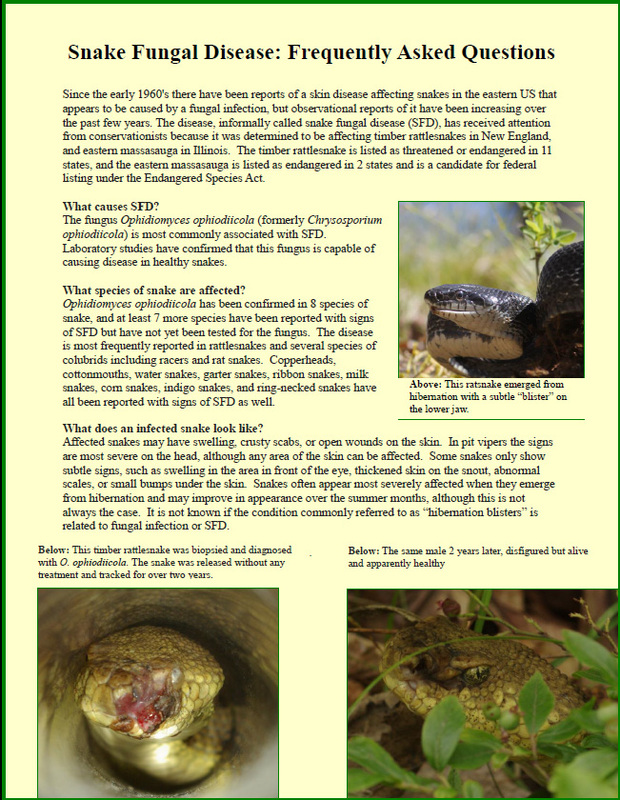 NEPARC in cooperation with the Association of Reptilian and Amphibian Veterinarians (ARAV) has created a factsheet on frequently asked questions about snake fungal disease. Snake Fungal Disease FAQ Factsheet – This brochure is free. Other organizations are encouraged to distribute it to interested parties.